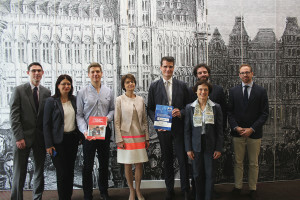 The European social partners, ETUC, BusinessEurope, CEEP and SMEunited (formerly called UEAPME) organised their joint conference on apprenticeships on 26-27 May 2016 in Brussels, Belgium. This conference took place further to the individual projects that have been conducted by the cross-industry employers’ organisations on the cost-effectiveness of apprenticeship schemes and by the ETUC on a quality framework for apprenticeships. The purpose was to discuss the outcomes of each project and to identify possible areas for joint messages and/or future cooperation. The conference involved presentations of the respective studies before focussing on workshop discussions on apprentice’s compensation/pay; the learning outcomes and qualifications of apprenticeship training; the cost-effectiveness of apprenticeship schemes and the employability of apprentices.